Hand building an Alabama platter. I grew up with creative parents, and admired my art teacher aunt, but had very few artistic opportunities in school. In fact, my small town high school had no art classes at all. I always loved photography, painting, drama, ventriloquism, and creativity in all forms. 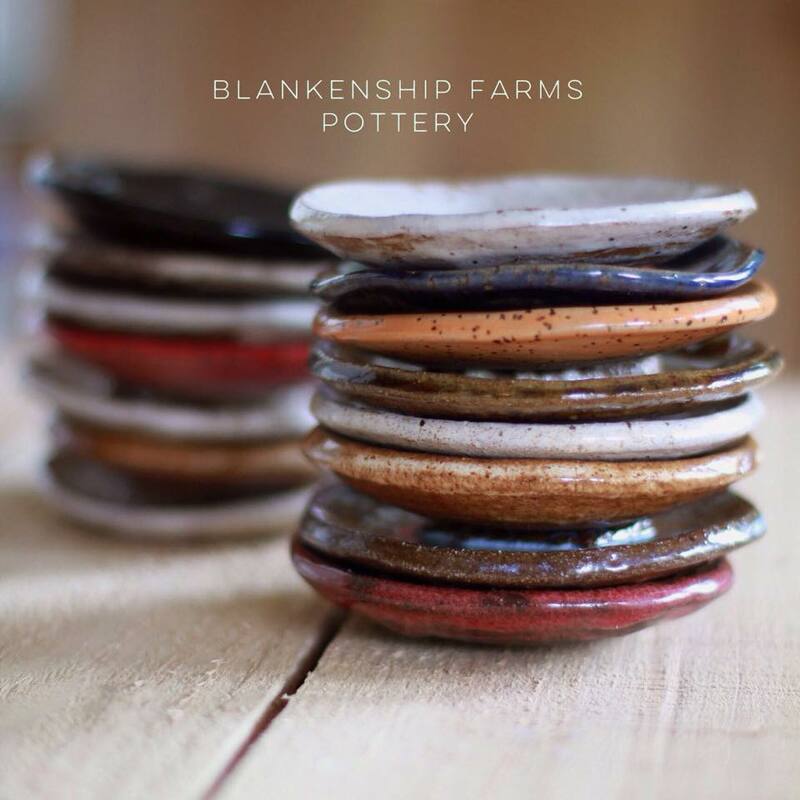 In 2010, I signed up for a pottery wheel class at the Shelby County Arts Council in Columbiana, Alabama, and I was hooked. I took class after class as long as my schedule allowed. A few years later, I started taking classes at Tena Payne’s studio, Cahaba Clayworks in Leeds, Alabama. 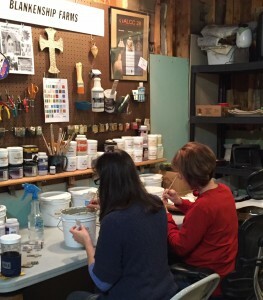 Most recently I’ve taken classes with Nelson Grice at Grice Art Studio. 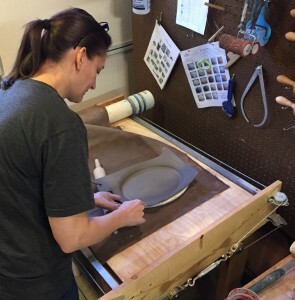 I continue looking for new classes and opportunities to learn new techniques and discover what clay can do. My desire is to make beautiful and useful art. 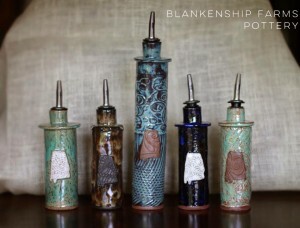 My dream is to study with potters all over the U.S. and abroad, and learn what works for them. My philosophy is to find adventure and joy in all that I do and share that with others. Stoneware pottery is perfect for kitchen use. Bisque fired at cone 04 and glaze fired at cone 6, stoneware is durable and can be used in the oven or refrigerator. 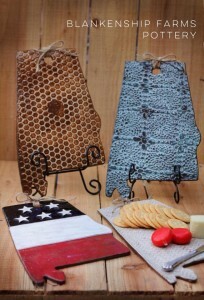 Lead-free glazes make it food safe. Most of my pottery is hand built or slab built. Occasionally, I work on my wheel skills and throw bowls, plates, and more. Our pottery with melted glass should not be used with food. Pottery with metallic edging should not be microwaved. All pottery dishes are dishwasher safe, however, that will wear and tear on the pieces more than hand washing. The majority of my clay and glazes come from Stone Mountain Clay and Glazes in Tucker, Georgia. I hope to one day process local Alabama clay and incorporate that into my pieces. It’s all a learning process.